I am rather partial to a lovely relaxing bubble bath, more so in the autumn/winter but I still enjoy it in the summer too despite the slightly warmer weather. As a working mum that time alone is rather rare as I'm either working or looking after Alfie so I like to grab that time when I can. A bubble bath really helps me to unwind after a long day and there's no bath product that makes me enjoy that rare time alone than a Lush bubble bar. I have my fair share of them and I stock up when I can. As my local lush store is a little over an hour away by train it's not always possible. I have been using one bubble bar in particular more often than others lately which comes in the form of the Brightside Bubble Bar. The Brightside Bubble Bar is similarly designed like the Comforter(which I adore) but aside from that, the colour, scent and ingredients are entirely different. Including such ingredients as Mandarin Oil, Bergamot Oil, Gardenia Extract and more. The scent is very citrusy, almost like oranges. I can only liken it to the smell of Orange Fanta. Strange but it smells so good and I can still detect the smell at least half an hour in. It's surprisingly quite an uplifting and scent and so makes me feel really relaxed but awake. 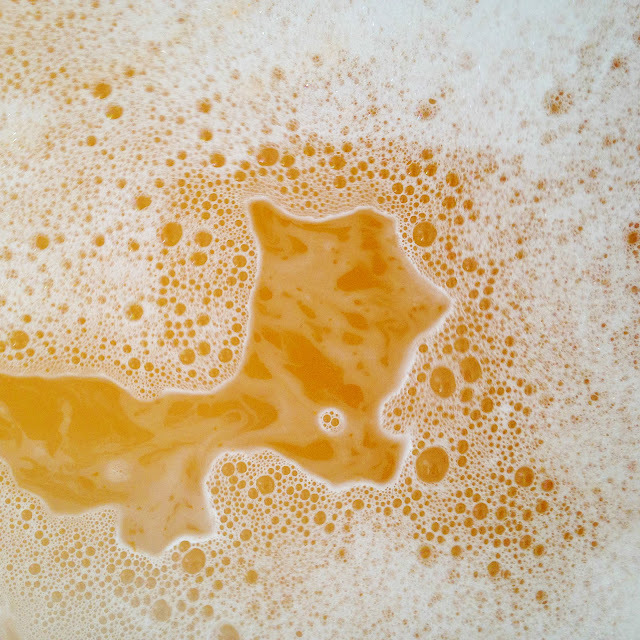 As for the bubble bar itself, it turns my bath a lovely bright orange but unfortunately the bubbles didn't last too long due to moving around all the time. Hardly surprising but it's a very bulky bubble bar so I only need to crumble a small piece of the bubble bar under the tap. I get at least 4-5 baths out of it which makes it worth the money at £4.95 a pop. I will definitely be repurchasing when I next visit my local Lush Store. 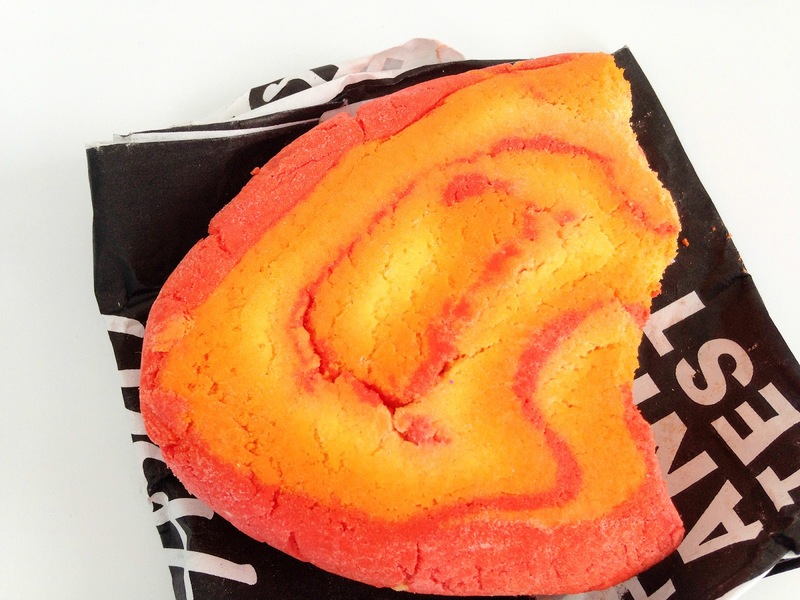 Have you tried the Lush Brightside Bubble Bar?